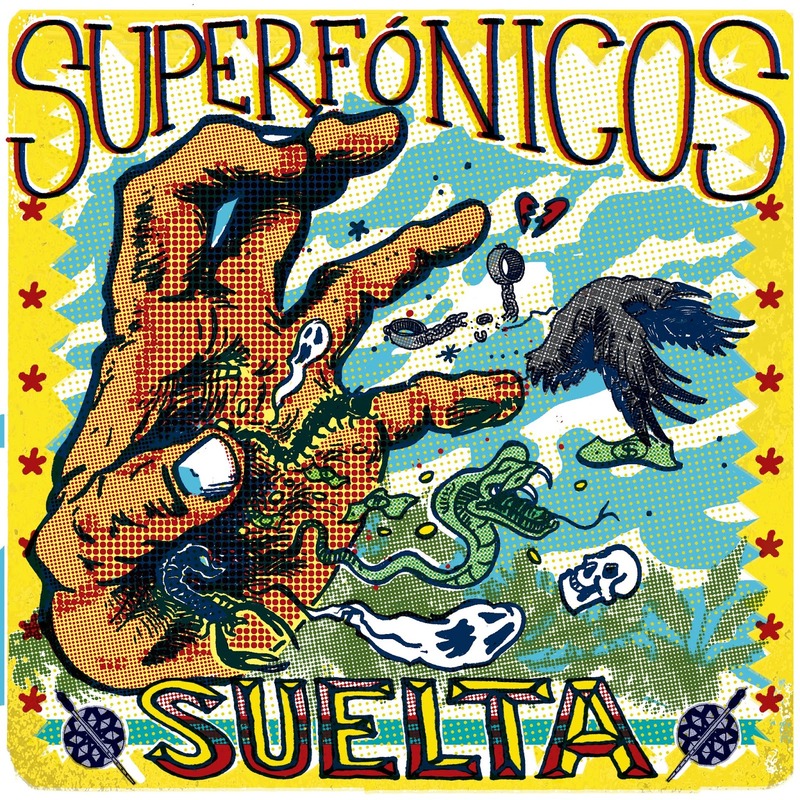 Here’s the debut EP from Superfonicos, a band organized by four players active in the Austin TX scene who are of Colombian heritage and wanted to start a combo that focused on Afro-Colombian rhythms like cumbia and merengue. The project got a jump start when singer-gaita (flute) player Jaime Ospina moved from Bogota to Austin in 2016 – presto, instant front man. They’ve been rehearsing and gigging ever since, and this is one impressive first recording – the ideas are so clear and the playing is so crisp and tight that it sounds like they’re ten years into this project. The Colombian rhythms are leavened with a healthy dose of Afrobeat, funk and psych rock; check out the wild guitar solos by Andres Villegas and Erick Bohorquez throughout. 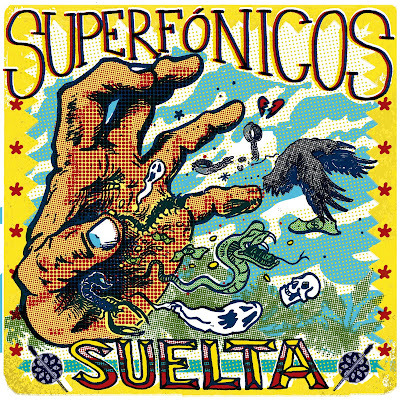 Superfonicos recorded at the studios of Adrian Quesada and Beto Martinez of Grupo Fantasma; they sound like a Colombia-fied version of that stellar Austin ensemble, or perhaps like one of today’s cutting-edge Colombian roots-driven bands: Systema Solar without the digital edge or La Mambanegra without the salsa. This is easily one of the most exciting debuts of 2018.